I knew very little about hockey. I had never been to a live game, nor had I ever watched more than ten minutes of a game on television. My knowledge of hockey was limited to what I’d seen in the Mighty Ducks movies and an old Sega hockey game I played primarily for the fights. 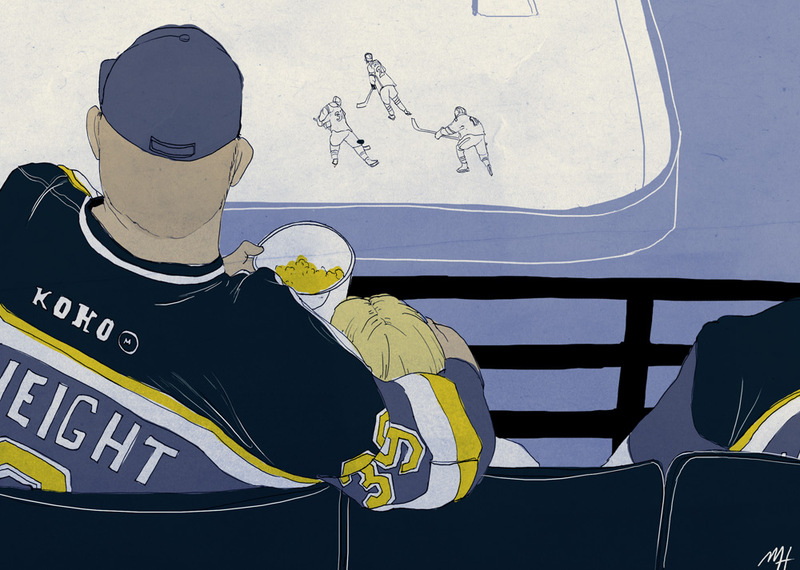 This was all very puzzling to me: why had I exposed myself to so little of hockey? 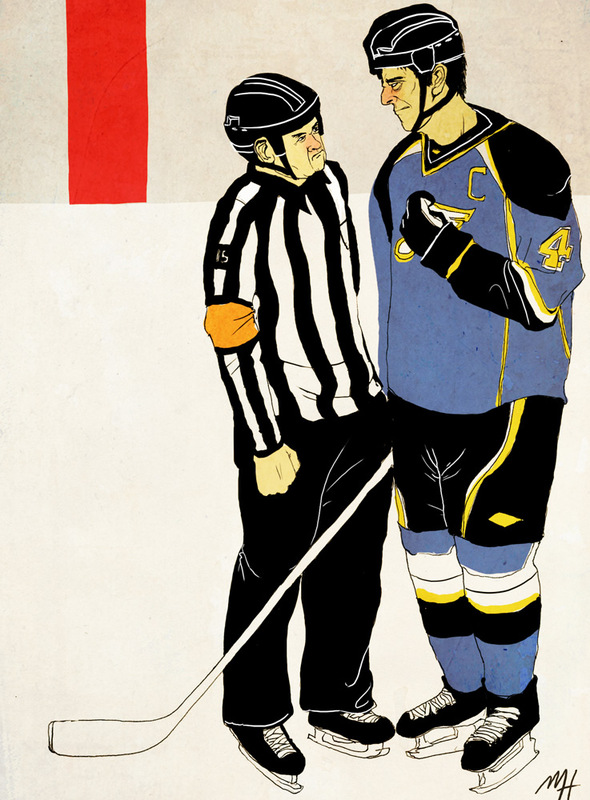 I’d always loved the idea of it – the fast pace of soccer combined with the brutality of boxing…on ice! What’s not to love? I probably hadn’t followed it because I’d never played it. And I’d probably never played it out of cowardice. I value my teeth too much. Hockey seems to go hand-in-hand with pain. But I could still watch it. Here was my expectation: a bloody slaughterfest. 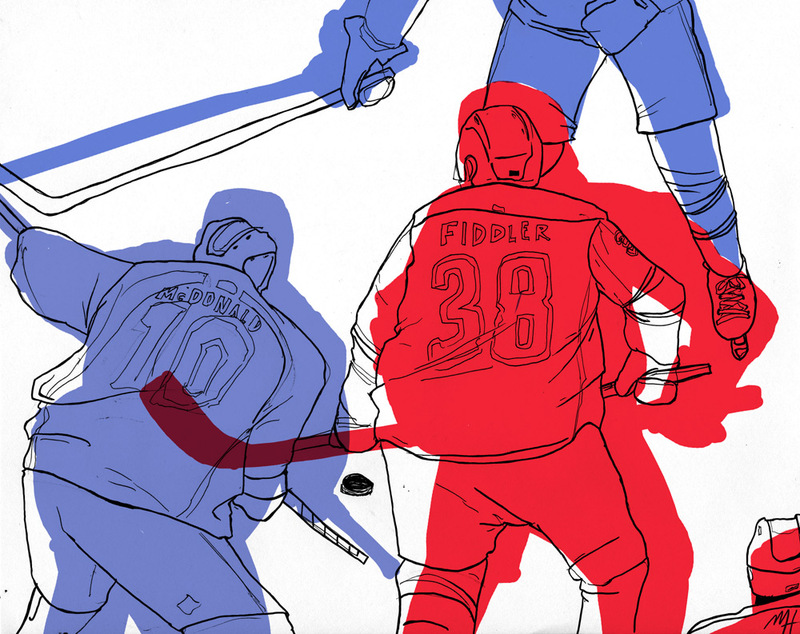 Players whizzing by on razor sharp skates, slamming into each other at immeasurably high velocities, the impact sending them airborn, over the protective divider straight into a mass of shirtless, painted-up fans, too drunk to care. But after sitting through an actual game, I can now see that my expectations were mostly wrong. I felt underdressed. Most people wear clothing identical to the players – the appropriate attire for this event. Incidentally, it is cold in a hockey rink. I clenched and shivered as I watched the skates scratch the ice. It was like watching a person bite down on a popsicle, or a teacher running her fingernails along a chalkboard. McClement glides down the ice before he is smashed into the wall by the Coyote defense. 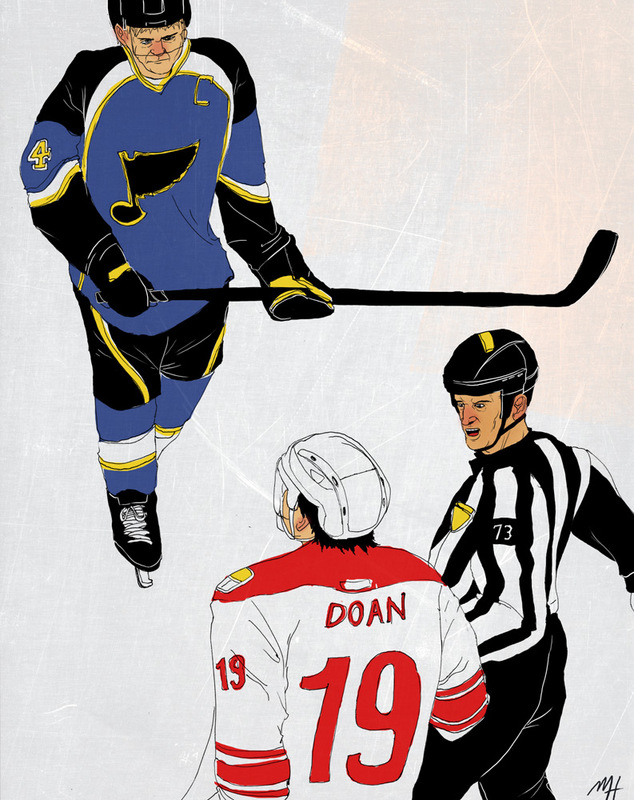 These are the moments where grace disappears and the best parts of hockey surface. He loses the puck and the crowd groans. On the sidelines, the players wait, eager to enter the fray. 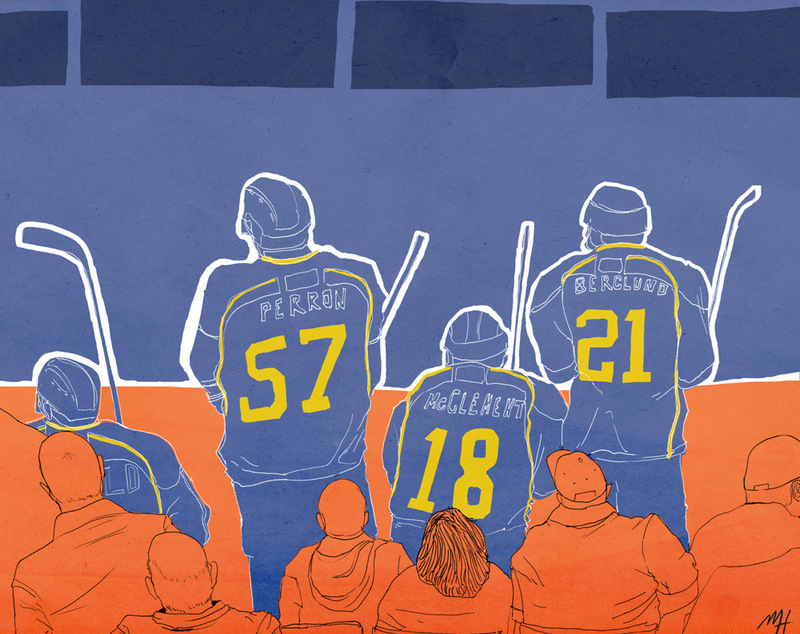 Because hockey is such a tiring sport, there are many substitutions. 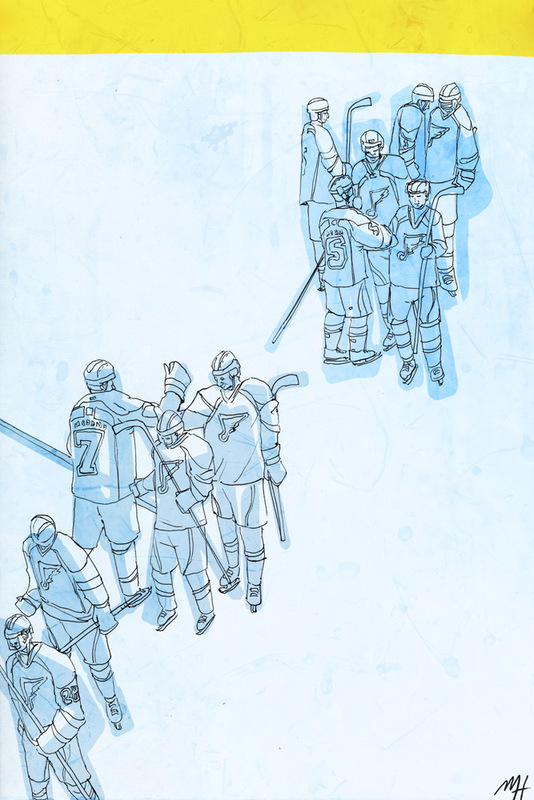 The players swap in and out frequently, jumping the wall and swarming out onto the ice. 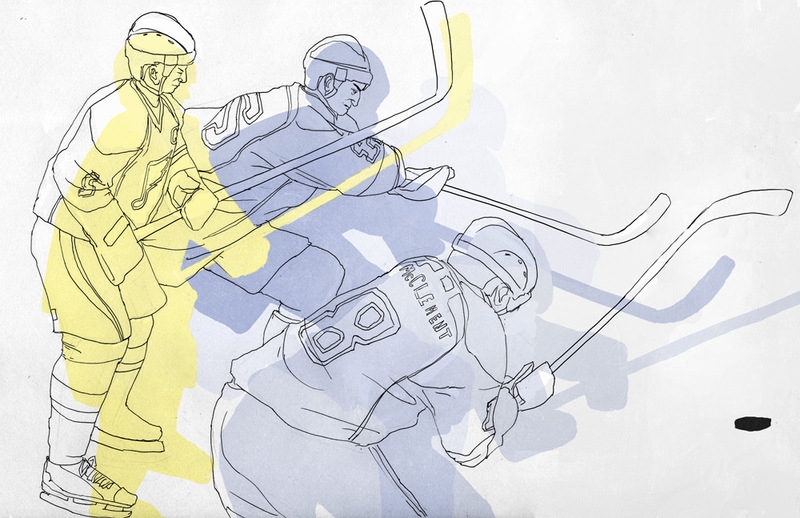 Many times the players cluster together near a goal, mashing together into a blob of sticks and skates. The puck shoots back and forth as each team tries to put the puck where they need it to be. At times like these, it is almost not worth watching – you can’t see the puck zipping back and forth in this chaos. I listen for the siren, or the sounds of the crowd around me. The fighting is explosive. One player shoves another and, suddenly, everybody has thrown themselves at each other. The referees scramble to regain order, one of them pushing a Coyote player to the ground. The referee issues his futile warnings.